I am not sure if the current spate of warm summer weather in the Irish countryside can be credited to the release of a much anticipated new CD this month by concertina player Edel Fox and fiddler Neill Byrne, but the title, The Sunny Banks, suggests that the tide of great Irish music is still rising anyway. American audiences in the Northeast will have the pleasure of experiencing this great new duet from two of Ireland’s finest young musicians keeping the tradition alive when they tour here in August in support of the new album launched earlier this month at the Willie Clancy Summer School. Fox, from Miltown Malbay, is well known over here in trad circles from six years as an invited artist and teacher at the Catskills Irish Arts Week beginning when she was just 18 years of age and a winner of the prestigious TG4 Young Musician of the Year award. Known as one of the finest concertina players and teachers to come out of Co. Clare, she produced a marvelous solo CD. Chords and Beryls, launched in the Catskills in 2010 when she also did a tour with the Kane Sisters. Her mate, fiddler Byrne, hails from Co. Waterford and has studied the violin since the age of five. He has been rooted in traditional music for many years, including that of the Waterford fiddler John Dwyer. There are 14 gigs, most of them intimate settings like house concerts, which will bring you close to their dynamic approach to “fireside music” new and old from the new recording. 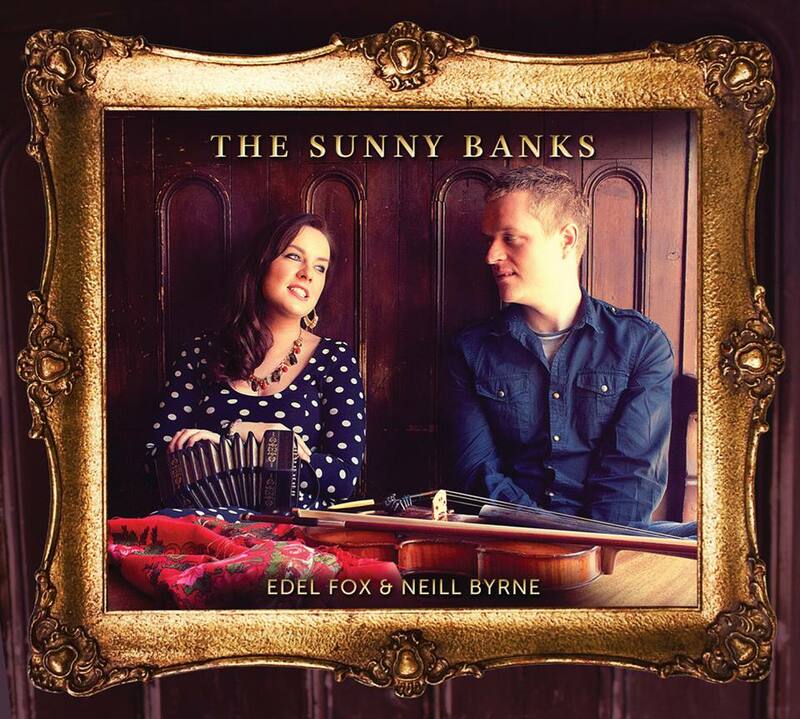 Visit www.edelfox.com and their Facebook page for the Sunny Banks—Edel Fox and Neill Byrne. It begins on Cape Cod at the Chatham Fiddle Company on Tuesday, August 6 (chathamfiddlecompany.com) and then as part of the Burren Backroom Series on Wednesday the 7th at 7:30 p.m. (burren.com). After stops in Maine and Rhode Island they come to the Big Apple for two shows starting on Sunday night the 11th at 8 p.m. at An Beal Bocht in the Riverdale section of the Bronx (anbealbochtcafe.com) and then a special night in Manhattan at the Chelsea home of the Irish Repertory Theatre at 8 p.m. (www.irishrep.org, 201-965-6598). They will be in Fairfield, Connecticut on Friday, the 16th (www.shamrockirishmusic.org) and St. Stephen’s Green on the 22nd in Spring Lake Heights (908-654-0200).